Toyama city, Japan and Semarang city, Indonesia have concluded a cooperation agreement to realize low carbon society under inter-city cooperation. 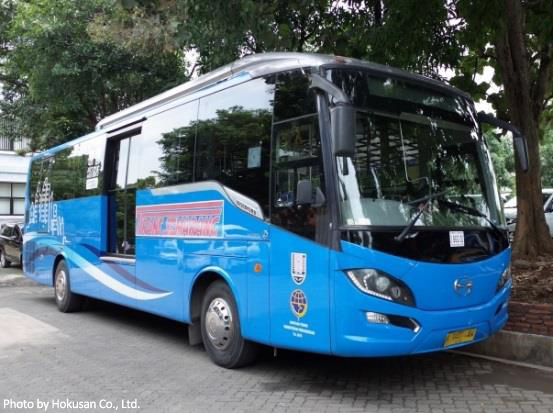 Two cities conducted a survey in Semarang City through “Feasibility Study on JCM Project by City to City Collaboration” by Ministry of the Environment in FY 2017 and a JCM Model Project, the first one of public transportation sector, is currently implemented by a private company from Toyama city. 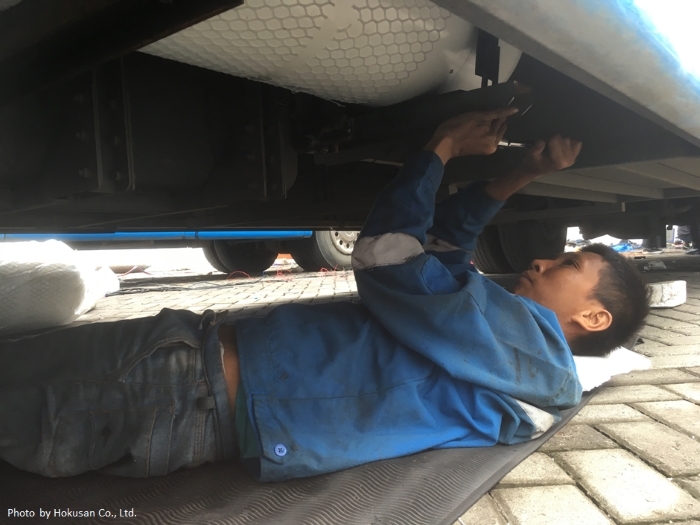 72 diesel bases owned by Trans Semarang, the city’s public transportation provider, including 25 large-sized buses and 47 mid-sized buses are retrofitted from diesel engine to hybrid engine with CNG system available to reduce GHG emissions through fuel switch from diesel to CNG. Grand launching ceremony of the project took place on 9th January in Semarang city. 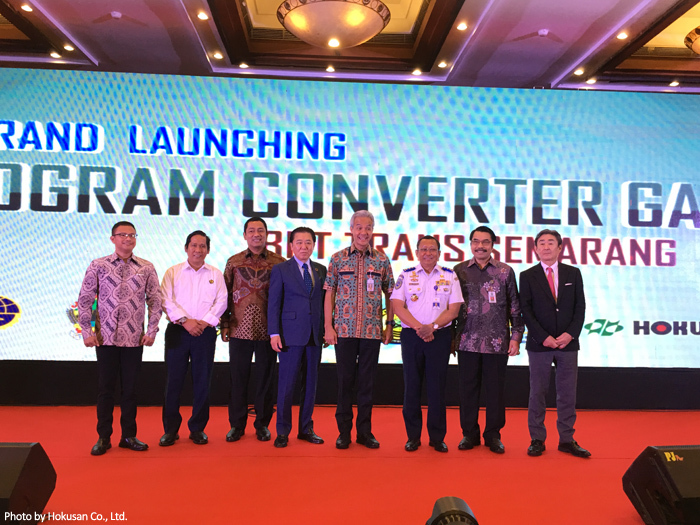 Companies’ representatives from Toyama city and Indonesia, Mayors of both cities and Governor of Central Java province participated in the ceremony and it drew much attention from local media.